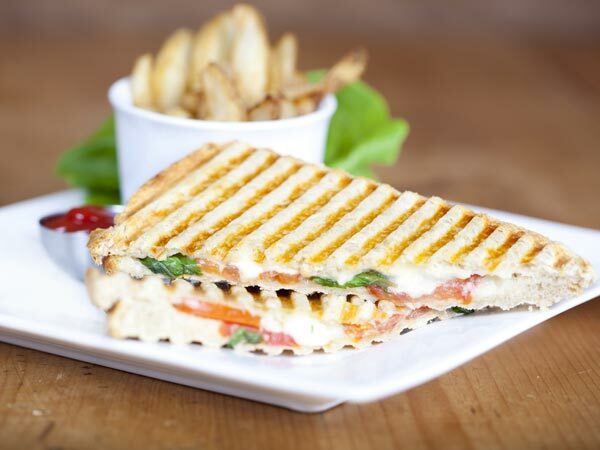 Sandwiches are one of the loved snacks all around the world! Bombay Veggie Grilled Cheese Sandwich is a delicious sandwich recipe which can be prepared using whole wheat bread, cheese, butter, onion and tomato. This is an easy-to-make dish that can be eaten for breakfast. Easily prepared at home, this snack can be served on occasions like kitty parties, buffet, potlucks and house parties. You can also pack this Fusion recipe for your kids’ tiffin and we are sure it will never fail to meet your expectations! Prepare this breakfast recipe and enjoy with your loved ones. Take 2 slices of whole wheat bread and cut their sides. Now, spread the butter on top of the slices. Chop onion and tomato into small pieces. After this, take the bread slices and and add onion and tomato pieces along with cheese. Put the sandwich and place it inside a grill. Let it grill for 5-6 minutes. When done, serve hot!